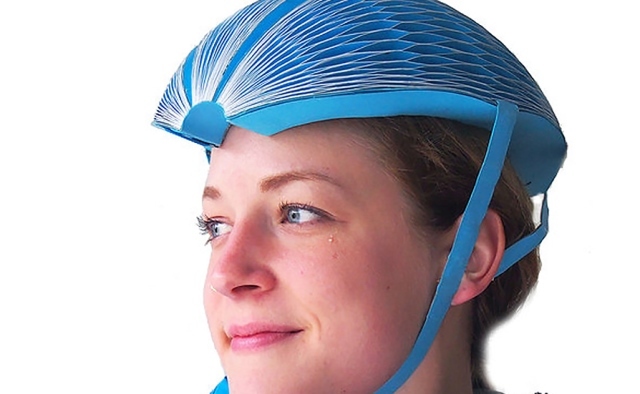 Talking of cycling, I was fascinated to read an interview with a woman who had invented a cycling helmet made of paper. In a classic case of design mimicking nature, it used a honeycomb structure. I’m not sure whether I’ll wear one until someone else has tested it (not just a dummy) and definitely not until it’s been waterproofed. But I’m enthusiastic about the concept nonetheless, because like cycling itself, paper is very eco-friendly and makes for happiness. It made me reflect on the similarities and differences with the innovation processes we use here in the AHSN. Firstly, it’s a great example of ‘innovation pull’. In this case the unmet need was a lack of helmets to go with the ‘Boris bikes’ which we can pick up on the streets of London and ride at will. Our equivalent in the AHSN is that we ask clinicians what problems they would like to solve. Sometimes we work with them to identify innovations that are already on the market, having been tested and are ready for use. And sometimes we issue challenges for innovations that are still in the developmental stage. Our favourite, perhaps, is the Small Business Research Initiative (known as SBRI) which is nationally funded. Our latest initiative in this programme was called General Practice of the Future and we called for innovations responding to demand management in primary care; self care and diagnostics and earlier triage. Another similarity is that we like to invite people who use services to help us design innovative products and services – such as our crowd sourcing project Design Together, Live Better, which in its first phase famously resulted in a prototype child car seat which you can fasten with one hand. As far as I could tell from the newspaper article, the honeycomb helmet results from the inspiration of a lone inventor, and we have plenty of those in health – especially clinicians. But Lars Sundstrom, our Director of Enterprise and my innovation muse, tells me that the future for innovation is largely about collaboration and open source activity. This seems to be most effective (many minds are better than one) and quicker. This is a feature of our Diabetes Digital Coach test bed project, where we have a hearty collaboration between a number of small and larger companies and the support of Diabetes UK to create an online service hosting a range of digital self management tools for people with diabetes. Another reason to love the honeycomb helmet of course is that it’s cheap, and surely that’s what the NHS needs. Effective, cheap and recyclable innovations.